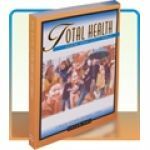 Health is always discounted at Schoolhouse Publishing! In today's instant-food-couch-potato-desk-job culture, having a working knowledge of your body and its care is more important than ever. It's way too easy to slip into unhealthy habits in the very busy-ness of our lives (and it's a very sedentary busy-ness, which is why we don't realize how unhealthy we've grown). A solid, Bible-based understanding of God's amazing creation, the human body, will go a long way in helping your homeschool child steward the "temple of the Holy Spirit." Check out the Bible-based health curriculum we have for you (discounted, of course).